We love bike lockers. They’re like having your own personal cycle garage. With the right features and amenities, bike lockers can fit a wide array of bicycle parking applications. 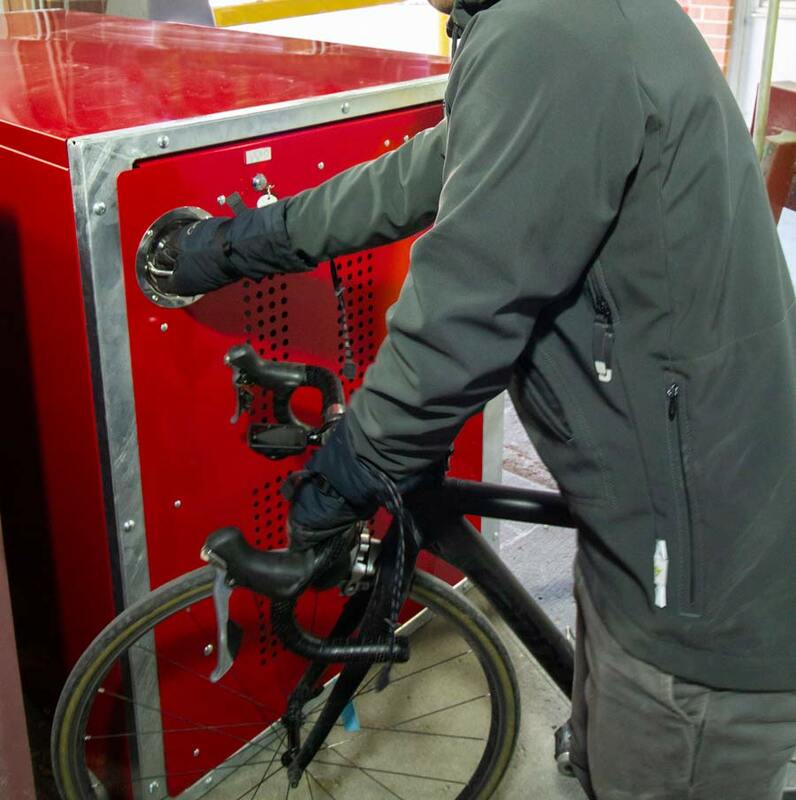 Back in 2015, we launched our first all-steel bike locker. Since then, we’ve refined and updated our locker designs, including adding two-tier and vertical options to our lineup in 2018. Today, we bring you the latest iteration of our classic bike locker design: the Dero Double Locker™ and Dero Single Locker™. The Dero Single Locker features our narrowest footprint of any bike locker yet. At a mere 32”, there is still ample room for all types of bikes. New for this update, all locking components are housed in the door, which reduces complexity and increases reliability. For even greater space-saving bike storage, the Dero Double Locker™ clocks in at 38” wide with the capacity to store two bikes. Its design retains multiple locking options (pad lock, u-lock, or keyed) and features optional gear hooks and door closing springs. Like all of our locker designs, both the Single and Double Lockers are designed to ship flat, are hot-dip galvanized beneath their powder coat for added durability, and include leveling feet for secure installation. Does your bike storage project have additional capacity or space constraints? We also offer a Two-Tier Bike Locker, Vertical Bike Locker and Veloport™ that expand the functionality and application range of our locker family. This entry was posted in Bike Storage, News. Bookmark the permalink.